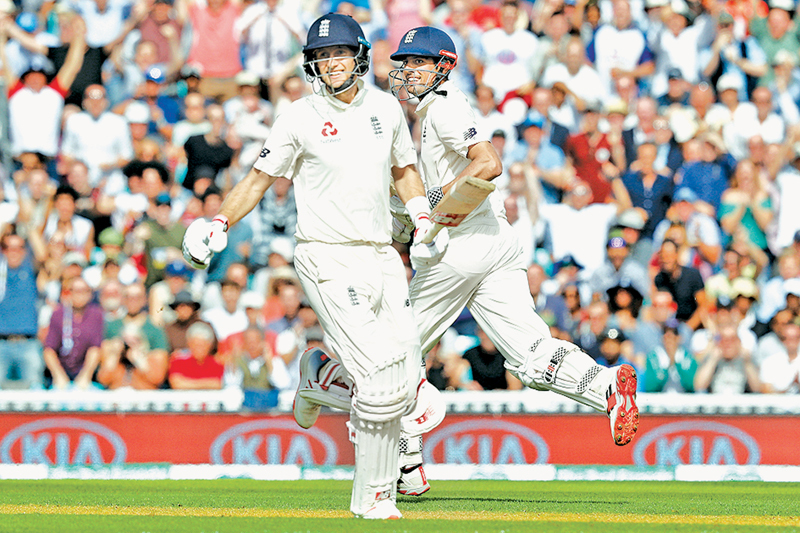 London, Monday: India were set a huge target of 464 to win the fifth Test after England declared their second innings on 423 for eight on Monday’s fourth day at the Oval. Alastair Cook made 147 in his final Test innings before international retirement and England captain Joe Root hit 125, with the pair putting on 259 for the third wicket. 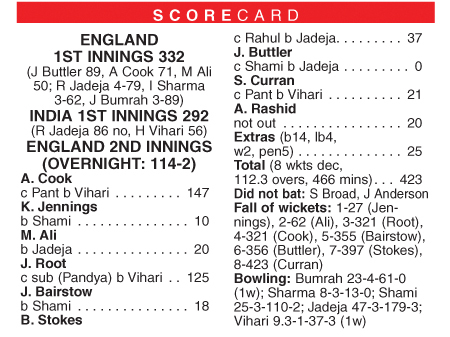 Cook’s innings meant he became just the fifth player in history, after Australia’s Reggie Duff, Bil Ponsford and Greg Chappell and India’s Mohammad Azharuddin to score hundreds in both their first and last Tests. Both Root and Cook fell in successive balls to become debutant part-time off-spinner Hanuma Vihari’s first Test wickets. The scale of the task now facing India can be seen from the fact that the most any side have made to win in the fourth innings of a Test is the West Indies’ 418 for seven against Australia at St John’s Antigua in 2002/03. India’s equivalent record is the 406 for four, needing 403, they made to beat the West Indies at Port-of-Spain in 1975/76.